Named one of the most powerful women in the world, Nancy M. Barry, 59, the Founder and President of Enterprise Solutions to Poverty and former President of the New York-based Women’s World Banking, is no stranger to the limelight. 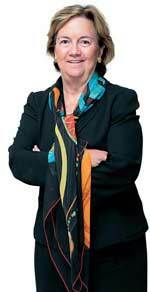 In an increasingly shrinking world, does she see closer bilateral ties between the US and India? Barry answers in the affirmative: “In meeting with business leaders, policy makers and low income entrepreneurs in India and other major emerging markets, I have seen the longing for a US that walks its talk and uses its power to listen, learn and work with others to build a better world.” Her own brainchild, Enterprise Solutions to Poverty, has “a robust agenda” in India. One of the major areas of expansion for Barry in 2009 is to build a network of Entrepreneurs in India and China. Former rbi governor yaga Venugopal Reddy is back in action after a break that lasted barely a couple of months. 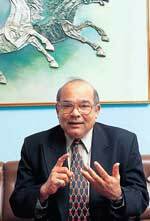 Reddy, 66, has now been nominated to a UN task force of top economists that will suggest possible reforms of the global financial system. The task force is chaired by Joseph Stiglitz, winner of Nobel Prize 2001 for Economics. The seasoned economist is one of the most suitable candidates for the role. At Mint Street, Reddy had an action-packed five years as Governor (and six years as Deputy Governor) that saw huge dollar inflows, unprecedented rise in rupee value against the greenback, soaring inflation and never-before spurt in consumer credit. His earlier stint as India’s Executive Director on the IMF board will also come handy now. Reddy, a 1964 batch officer of the Indian Administrative Service, left RBI at a time when the global financial turmoil had started to unfold. He now has an opportunity to be a part of the damage control. Banking’s loss is microfinance’s gain. Suresh Gurumani, 46, till recently Director, Consumer Banking at Barclays in Mumbai, has moved into a relatively low profile role as CEO of SKS Microfinance, Hyderabad. The move comes at a time when banks across the world are battling a confidence crisis. Gurumani, however, says: “To me, it is an opportunity to enhance the lives of the poor by making it the largest microfinance company in the world in twoto-three years.” For someone, who is in the business of managing risks, this does not seem a tall order. SKS has gone through its share of trials and tribulations despite a CAGR of 200 per cent. He could do well to draw inspiration from Nassim Nicholas Taleb’s The Black Swan: The Impact of the Highly Improbable that he is reading now. Taleb’s Black Swan refers to a surprise event beyond the realm of normal expectations. Gurumani sure wants to be on a sound footing with lessons from the risk guru. He is the longest-serving ivy league president and is considered one of the leaders of American higher education as President of Yale University. Richard C. Levin, 61, is currently high on India. 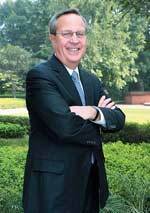 In Delhi recently to launch Yale India Initiative, Levin said: “India has been somewhat underrepresented at Yale. This is an effort to rectify that.” The initiative, that has a corpus of $75 million (Rs 375 crore), will create new faculty positions on India-specific studies and will help expand the presence of India in Yale’s curriculum. His agenda for India: Developing partnerships with Indian institutions. Levin has a prescription for the Indian education system: Go egalitarian. Also, if India wants to compete in the knowledge economy 40-50 years from now, it needs to have some institutions that have cutting edge research. “In India, the institutes that do teaching do not do much of research. That needs to change,” signs off Levin sounding a cautious note. 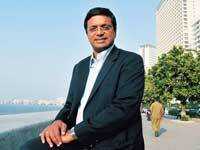 The fifth floor corner office of citi india’s Bandra Kurla headquarter has a new occupant. Citi veteran Mark Robinson, till now Citi Country Officer for Russia and Division Head for Ukraine and Kazakhstan, will shortly take charge of Citi India franchise from Sanjay Nayar, who spent close to 18 years in Citi. While this is his first stint in India, Robinson, 47, is on a familiar terrain. He has worked mostly in emerging markets in his career spanning 24 years. In India, he will “continue the momentum and deliver the power of Citi’s universal banking model to clients in the region”. With Citi on the razor’s edge globally, Robinson has a tough task ahead.